FOR IMMEDIATE RELEASE -June 30, 2012 – Today, Mars Petcare US announced a voluntary recall of a limited range of three varieties of PEDIGREE® weight management canned dog food products due to a potential choking risk. Affected product may contain small pieces of blue plastic, which entered the food during the production process. The source of the plastic has been identified and the issue resolved. We encourage consumers who have purchased affected product to discard the food or return it to the retailer for a full refund or exchange. While a small number of consumers have reported finding the plastic pieces, we have not received any reports of injury or illness associated with the affected product. The lot codes indicated below should not be sold or consumed. FOR IMMEDIATE RELEASE – May 11, 2012 – Nestlé Purina PetCare (NPP) is voluntarily recalling one specific lot of its Purina Veterinary Diets® OM Overweight Management canned cat food, available through veterinarians in the U.S. and Canada. This precautionary measure is being taken in response to one consumer complaint received by FDA. Analytical testing of the product sample by FDA indicated a low level of thiamine (Vitamin B1). Purina has received no other complaints of thiamine-related or any other health issues related to this product. *“Best By” Date and Production Code are found on the bottom of the can. FOR IMMEDIATE RELEASE – May 8, 2012 – Solid Gold Health Products for Pets, Inc., El Cajon, California, announced a voluntary recall of one batch of WolfCub Large Breed Puppy Food and one batch of Solid Gold WolfKing Large Breed Adult Dog, both with a Best Before date of December 30, 2012, and an “X” in the 11th digit of the date code. 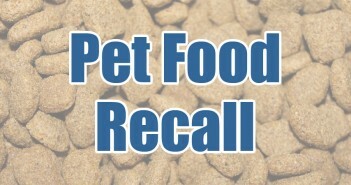 FOR IMMEDIATE RELEASE – May 4, 2012 – Natural Balance Pet Foods announced today that it is issuing a voluntary recall of certain dry pet food formulas manufactured by Diamond Pet Foods at their Gaston, South Carolina facility. Although there have been no animal illnesses reported and none of the products included in the recall has tested positive for Salmonella, the company has voluntarily initiated this recall as a precautionary measure. Pets with Salmonella infections may have decreased appetite, fever and abdominal pain. If left untreated, pets may be lethargic and have diarrhea or bloody diarrhea, fever and vomiting. Infected but otherwise healthy pets can be carriers and infect other animals or humans. If your pet has consumed the recalled product and has these symptoms, please contact your veterinarian. We do not have any confirmed reports of pet illnesses. FOR IMMEDIATE RELEASE – April 30, 2012 – Diamond Pet Foods is expanding a voluntary recall to include Diamond Puppy Formula dry dog food. The company took this precautionary measure because sampling revealed Salmonella in the product. No dog illnesses have been reported. Named one of the Top 10 Islands in the World by Conde Nast Traveler, and a Top 10 Car-Free U.S. Destination by Sherman’s Travels, Mackinac Island is known for it’s countless unique attractions and peaceful scenery. If ever you’ve enjoyed a trip to Michigan’s Mackinac Island, you might have rented a bike to cycle around the island or taken a carriage ride to view the sights. In fact, automobiles aren’t permitted, enhancing the vacation feel and appeal to the unique island and all it has to offer. As one of our own favorite vacation destinations, it’s disheartening to hear of the utter chaos that has been occurring on the island over the past few months. With summer right around the corner and the onset of vacations it appears millions of dollars in revenue will be lost due to the recent over-population of monkeys. That’s right, we said monkeys! 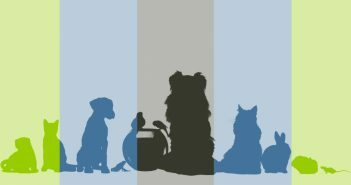 Time Magazine published an article written by Carl Zimmer that goes into remarkable detail about nonhuman friendship. Studies have shown that friendships among animals are indeed true and display sharing, grieving, sacrificing, forming bonds, and loyalty. It is quite interesting to learn the types of friendships that exist between chimpanzees, dolphins, hyenas, elephants, baboons and horses. The discoveries could change the assumptions we have about how nonhuman societies work and perhaps change how we think about our friendships.